Posted on Dec 30, 2015 by Jason Stegent. 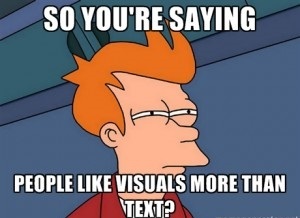 Here at Elastic Solutions, our software solutions are all about visual marketing. From webinars to virtual events, the best ones are leveraging video and other visual components to tell a story, increase engagement and accelerate revenues at the end of the day. Ultimately, I look at webinars and virtual events as the ultimate content marketing vehicles, and content marketing as a whole is becoming increasingly visual. With that being said, I came across an article in Forbes that sums this up perfectly – 5 Visual Marketing Trends That Will Dominate 2016. It has a heavy focus on why video is so important in today’s marketing environment, which we’re completely onboard with since video has proven to increase webinar and virtual event engagement, ultimately leading to more qualified leads. Please click here to read on. This entry was posted in Recent Blog Posts on December 30, 2015 by Jason Stegent.